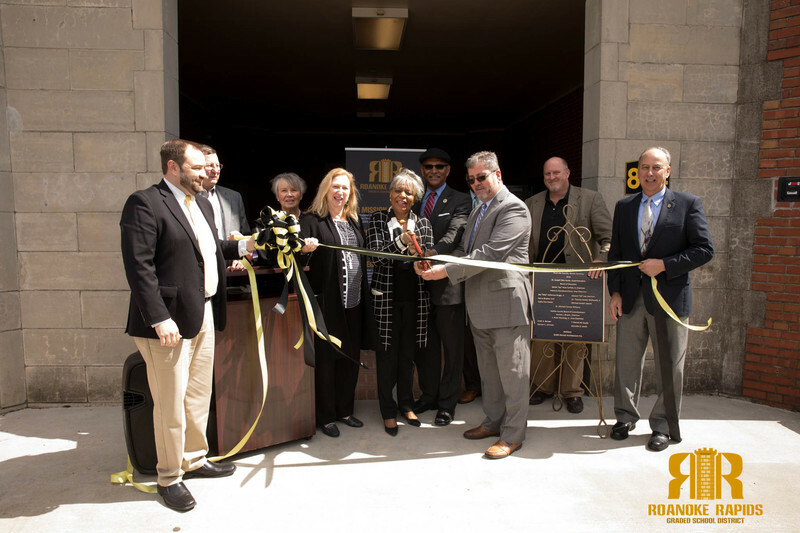 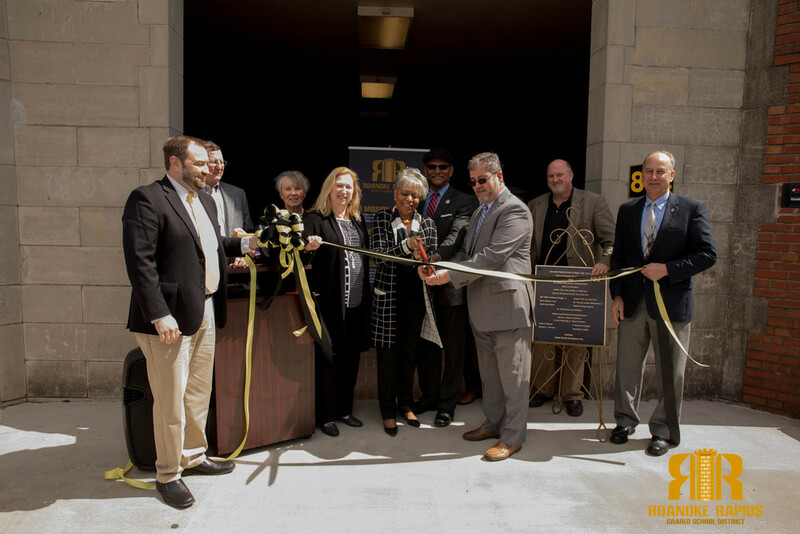 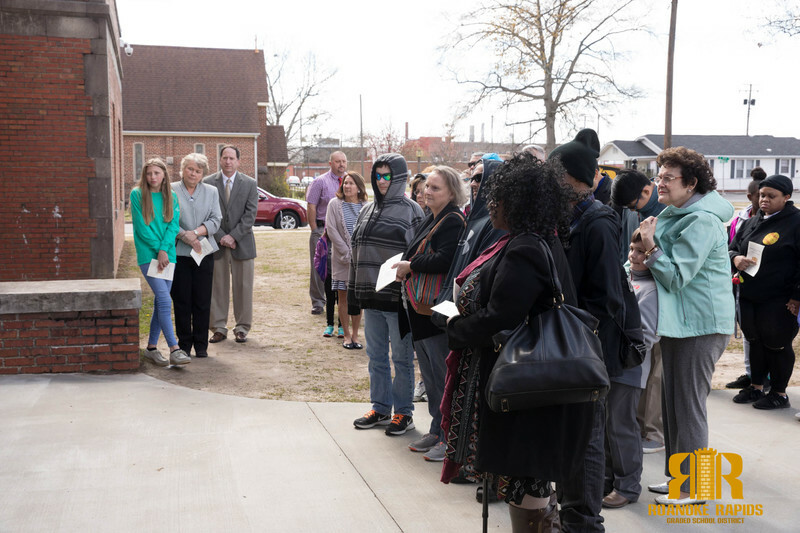 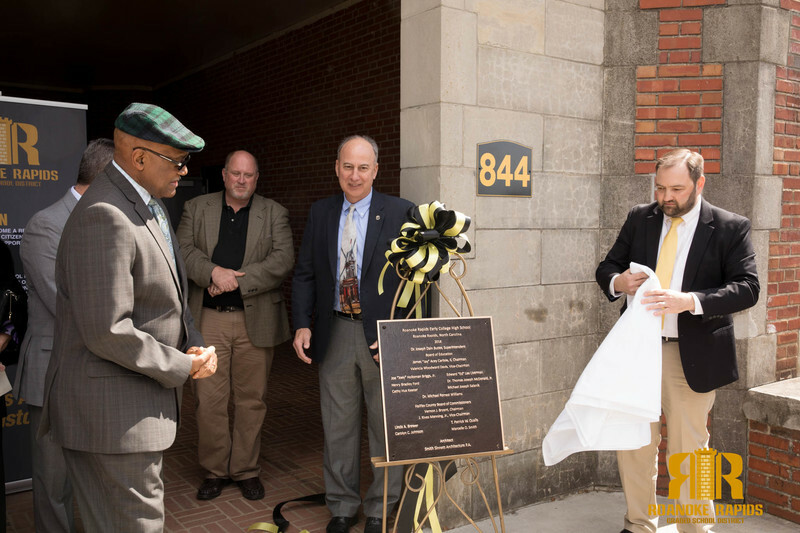 Roanoke Rapids Graded School District Trustees, Halifax Community College, and the Halifax County Commissioners cut the ribbon Sunday afternoon on the new Roanoke Rapids Early College High School at the former Armory building next to the historic Roanoke Rapids High School. 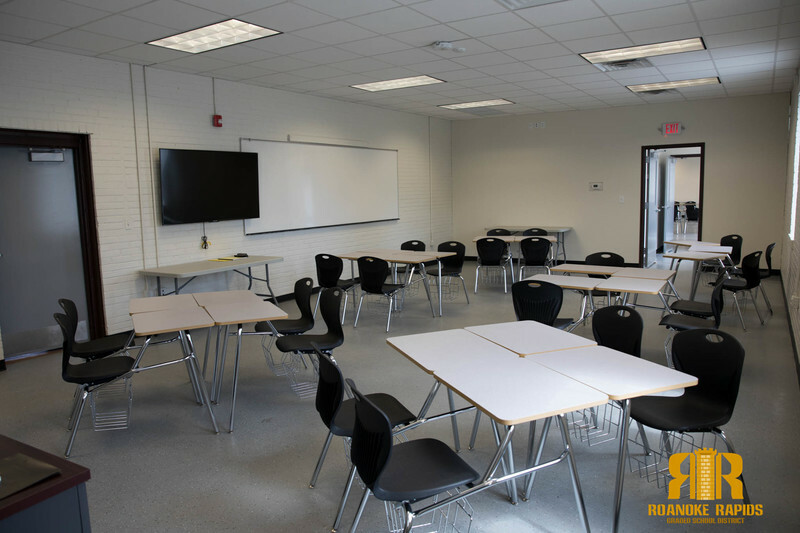 The new school, which will open this fall, will jumpstart students’ college education and career preparation by blending high school and two years of college in a supportive environment. 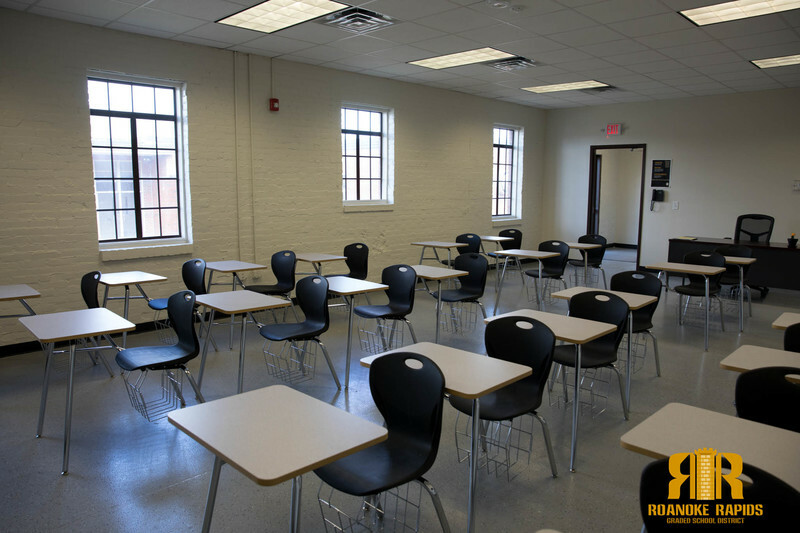 “This blended approach saves students and their families time and money. 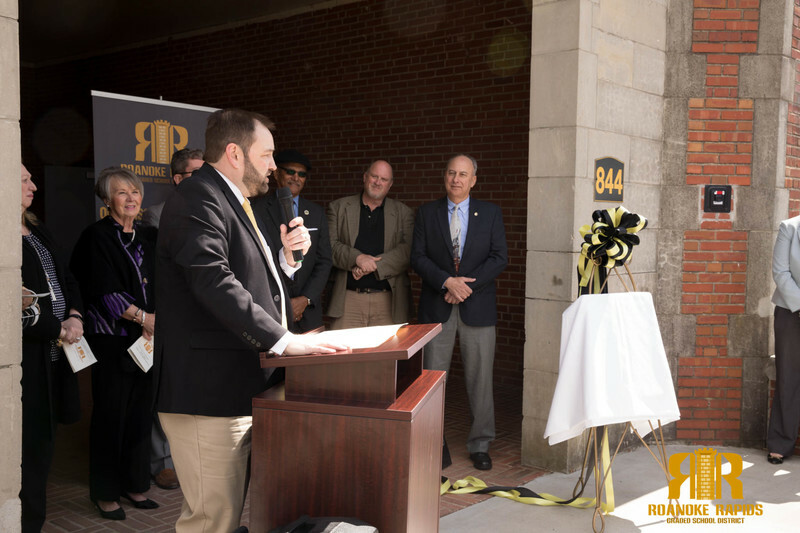 Students can graduate in four or five years career-ready and with half of a bachelor’s degree finished,” said Dain Butler, Superintendent. 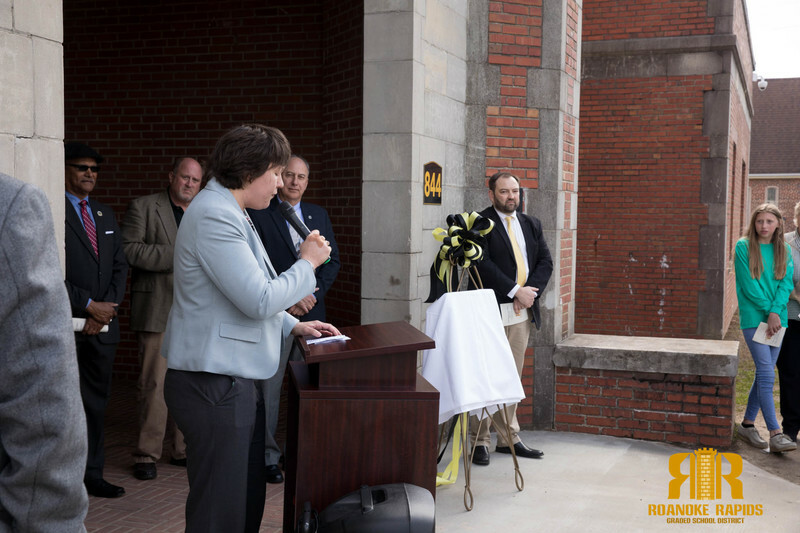 Applications are now being accepted for the August opening. 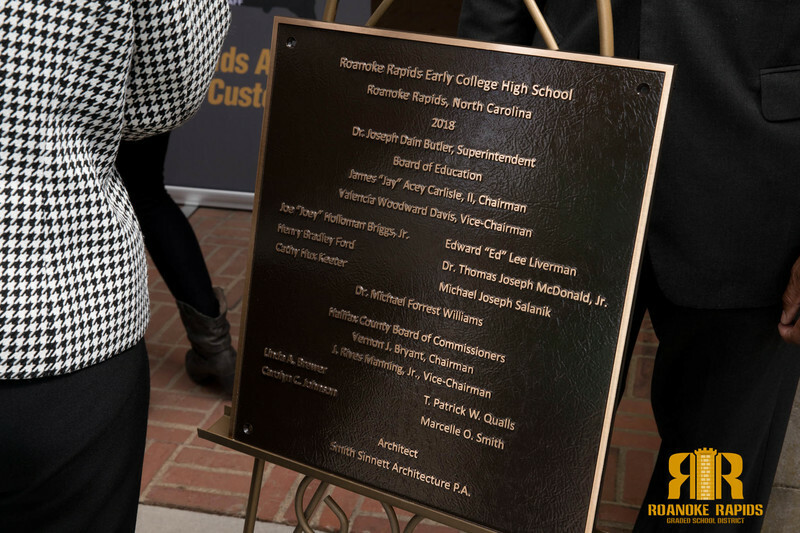 Roanoke Rapids Early College High School will open to 35 rising ninth graders and 35 rising tenth graders. 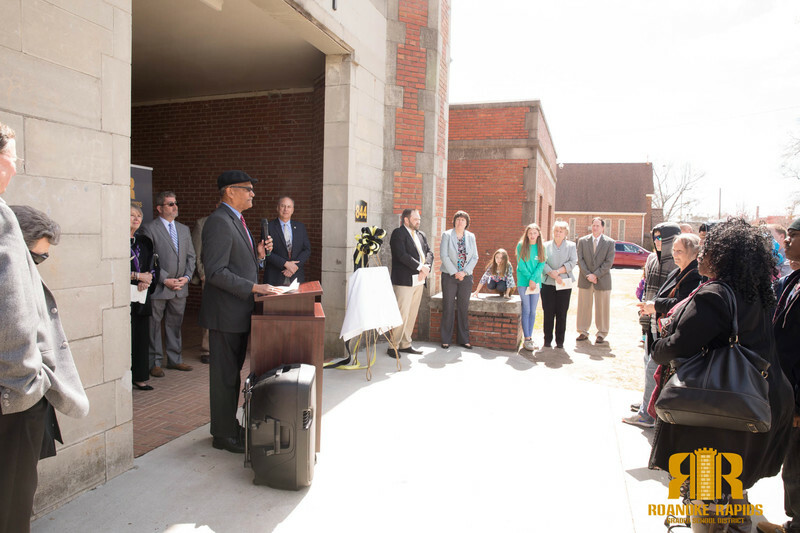 “As a former RRGSD Trustee and now Halifax Commissioner, I’m excited about this opportunity for these students,” Commission Chair Vernon Bryant told the audience during the dedication ceremony.